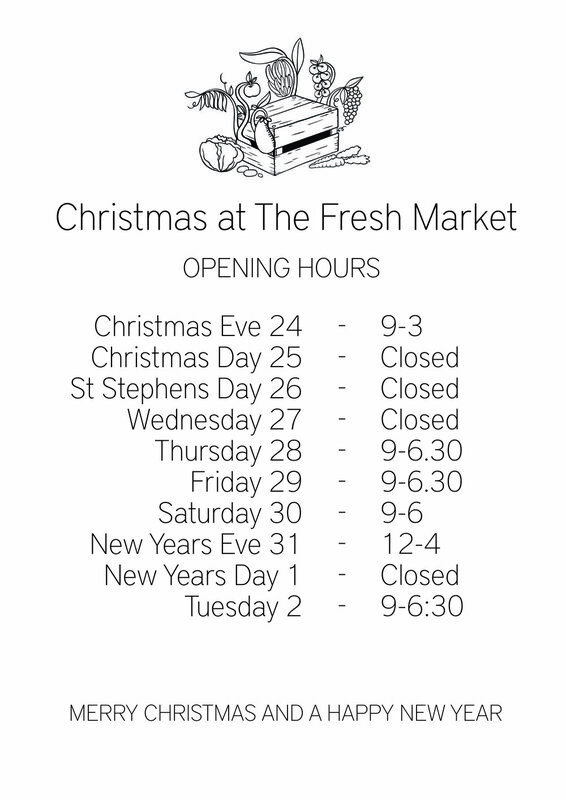 Here's our opening hours over the next few days. Hoping you all have a tasty Christmas, and all the best for the New Year! Thanks so much for your support over the past year. From everyone at The Fresh Market.